We were out and about yesterday running errands and decided to take a new country road we hadn’t been down yet. 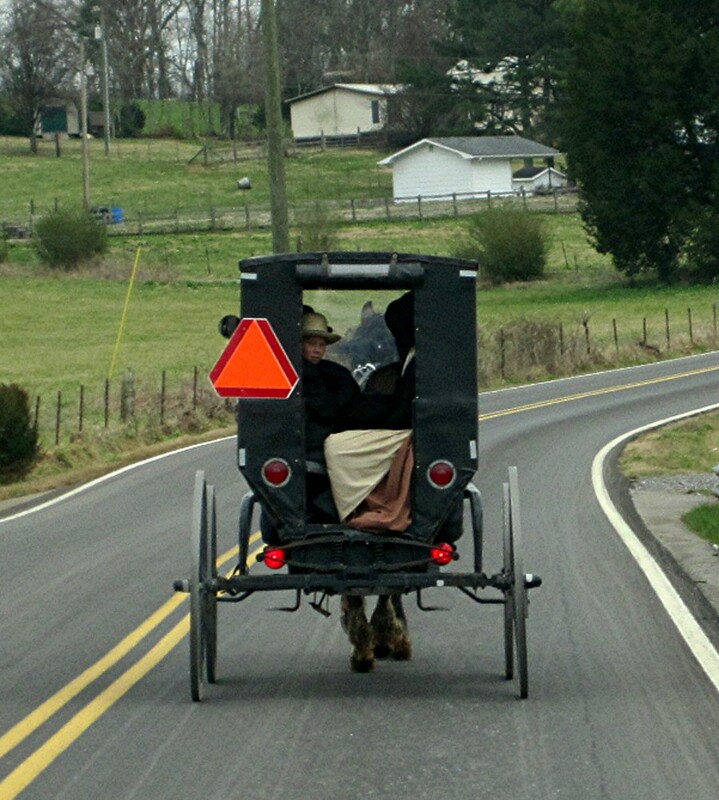 I had heard there was an Amish Market on this road and wanted to check it out. We found the market and shortly after passing it came upon a field with many workers planting and a horse-drawn plow with three beautiful draft horses. I asked the young man doing the plowing if I could take his picture and he said “I rather you didn’t”, so I respected his wishes. A couple of my shots are from that drive, and then what we found when we got home! This Amish family was probably headed to town or church as they were all dressed up. 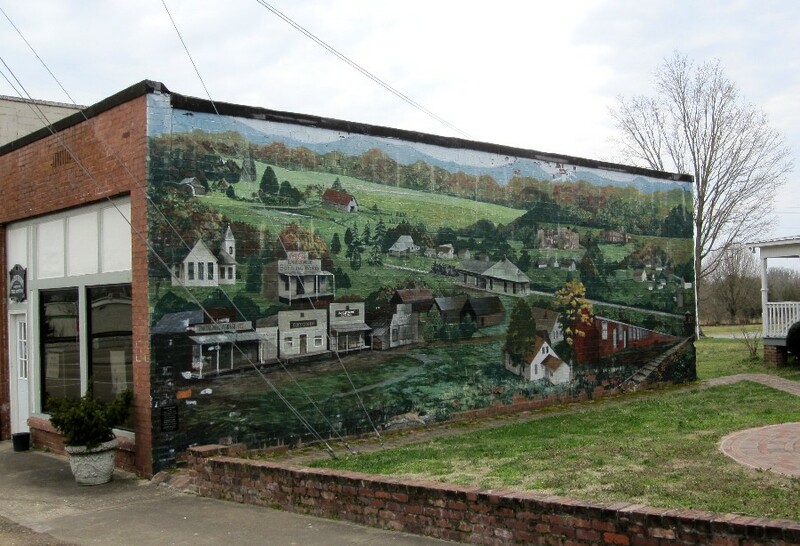 This lovely mural was on an old building in the tiny country town we drove through. 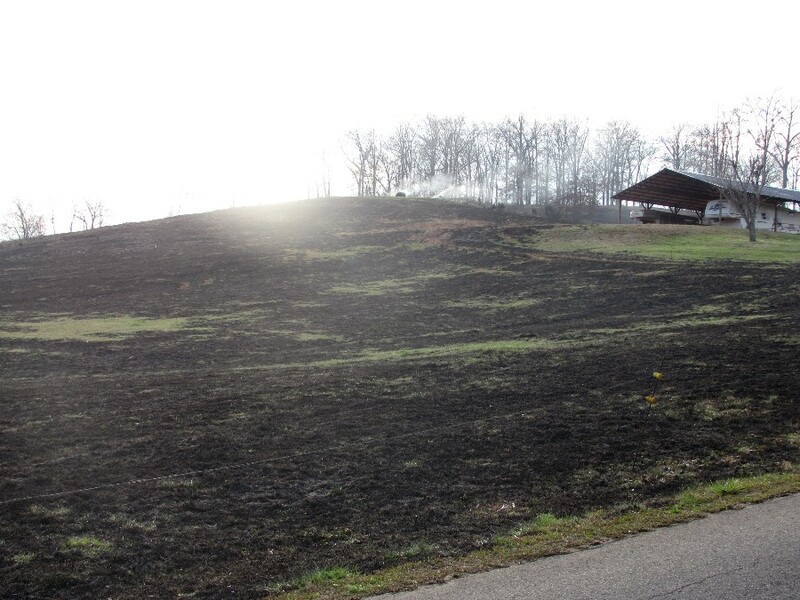 And, when we got home we were surprised to see that our neighbor’s field had burned!!! 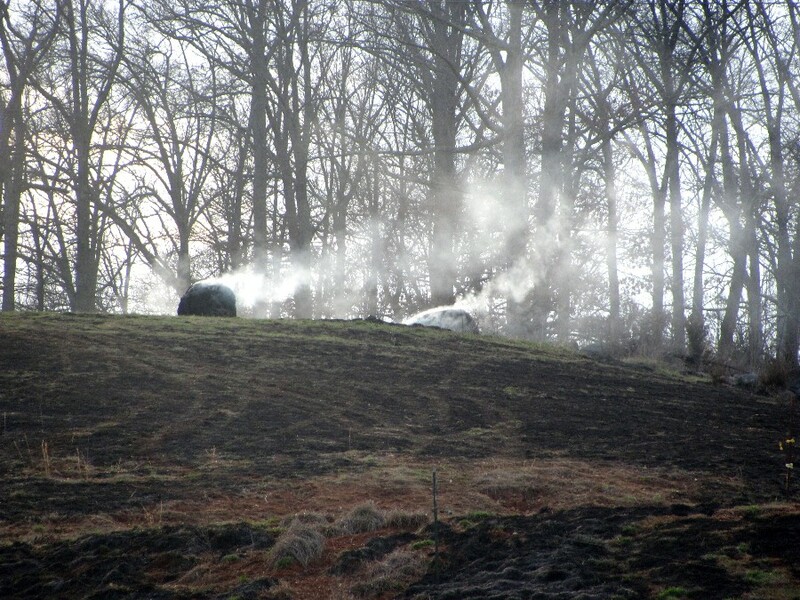 It did not look like a controlled burn, as we could see a couple of his hay bale smoldering. I couldn’t tell if they had lost more hay over the hill. So sad. Our temps are supposed to reach 68 degrees today! Beautiful! Maybe Spring is about here. My DH is applying the Scott’s Turf Builder t the lawn for it’s Spring feeding. I can’t wait to begin gardening again. Have a beautiful week everyone. This entry was posted on March 10, 2013 at 12:53 pm and is filed under Uncategorized. You can follow any responses to this entry through the RSS 2.0 feed. You can leave a response, or trackback from your own site. I’m always amazed that the Amish and similar sects still survive in our busy, crowded and secular world. It’s a delight to see them and your picture enhances that feeling. Nice image, Dianne. That is a lovely mural. Too bad about your neighbor’s field. Too bad you couldn’t have the pic with the team,that would have been neat. The one you did get is good though. how was the Market? Loved the Mural. I wonder how the field caught fire?